Experience more adventure, fun, and style with Kitty Hawk Kites. 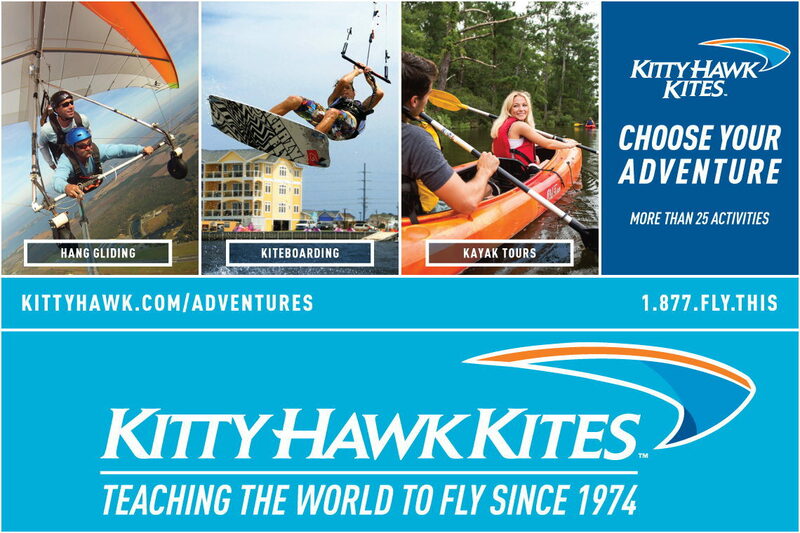 For over 40 years – and with locations from Corolla to Ocracoke – Kitty Hawk Kites is proud to provide the most unique shopping experience with unmatched quality and service, as well as the most dynamic adventure offerings on the Outer Banks. The Hilton Garden Inn is a great place to stay and have your wedding on the Outer Banks. From its great location to its friendly staff to its beautiful views, you will enjoy gorgeous decor and top-notch service.